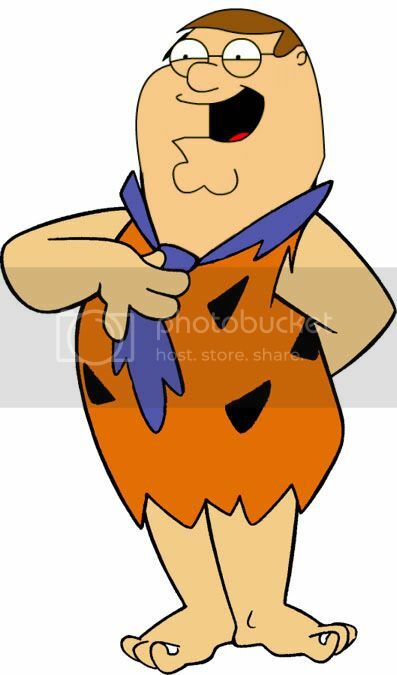 Seth MacFarlane Finally Gets Go-Ahead To Reboot 'The Flintstones', details here. Jeez.Can't Hollywood leave anything alone? I like Seth MacFarlane as much as anybody. But, come on.. The Flintstones? I think it makes sense. McFarlane started his career working for Hanna-Barbera. I hope they don't make it as edgy or random as Family Guy, but rather a traditional sitcom. Maybe they'll branch out from the Honeymooners model all these shows have been following. Schlubby guy with hot wife who is too good for him... nah. That's been working just fine. I hope Rosie is not too busy to play betty again! I want to punch you in the face so much right now DMH. My inside sources* were able to smuggle out some preliminary artwork.